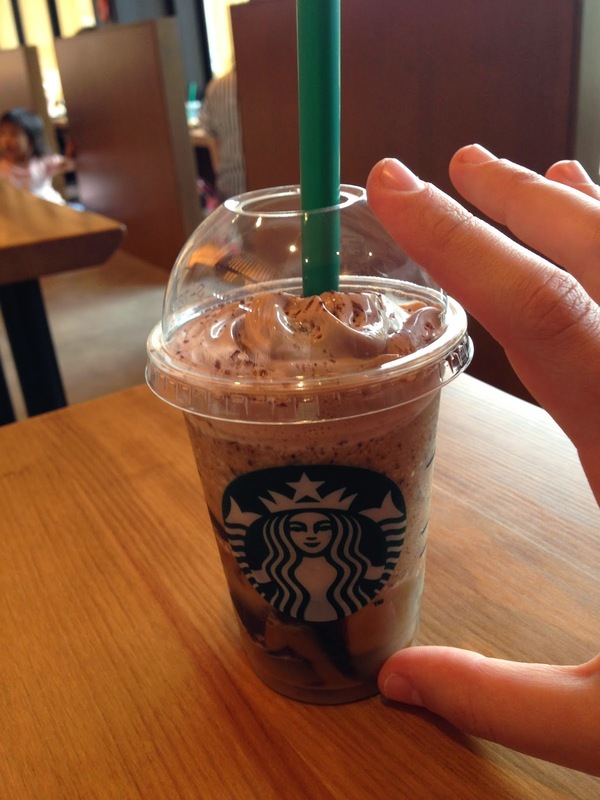 candidanimal: Starbucks Coffee Jelly Frappuccinos are here! Well, actually, they've been here for a while...sorry for the late post. reading about it on this 2012 list of crazy fast food items in Japan. 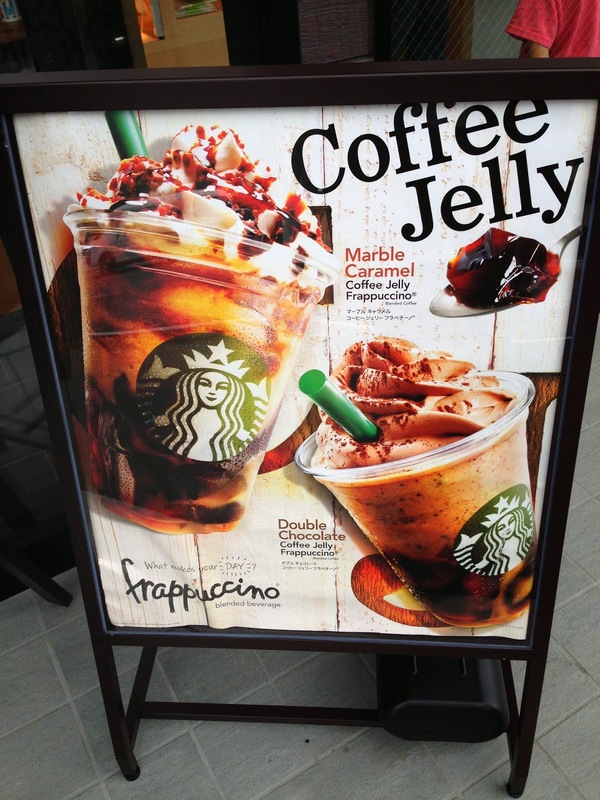 Apparently the Coffee Jelly Frappuccino was so successful they brought it back for another year. This is basically the love child between a frappuccino and a bubble tea. This is a multi-layer dessert that has no equal among coffee beverages. 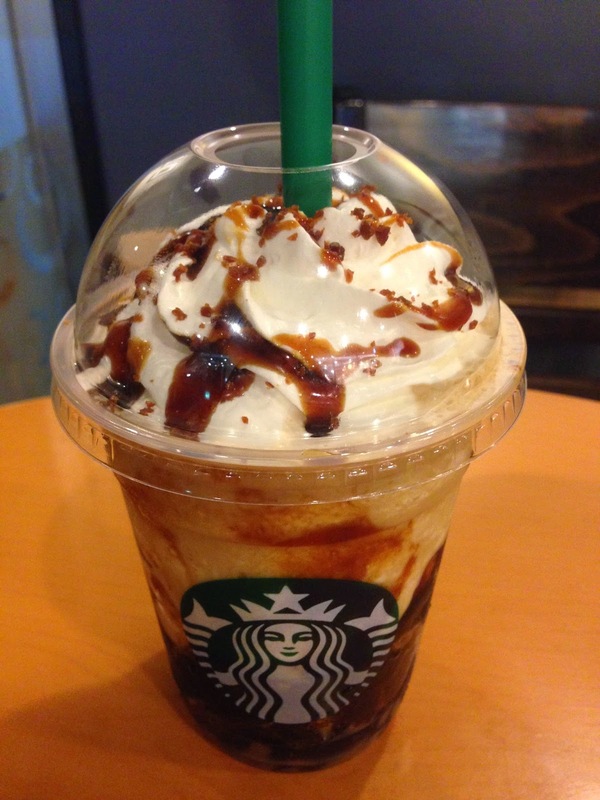 I fell in love with the Marble Caramel Coffee Jelly Frappuccino, which was the perfect blend of super-sweet caramel and bitter coffee jelly. The Double Chocolate Coffee Jelly versionlayered on the dark chocolate and was too bitter for me. By the way, Japanese whipped cream has almost no sugar in it. If you taste the whip cream by itself it tastes like heavy cream. This is so different from American whipped cream which is sweet enough to spray right out of the can and into your mouth. Lastly, have you ever seen what the “small” size looks like in Japan? That’s the size below “short.” It’s basically equivalent to the tasting sample in America. I wish I could try this, I love both bubble tea and fraps! Also, bring the short size to the USA!